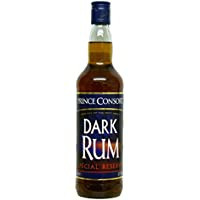 Prince Consort Dark Rum Special Reserve - an inexpensive blend from the West Indies.TASTING NOTESNose: Spiced, rich. Molasses and pepper. Palate: Full, warming. Stone fruits, dried peels, a hint of aniseed. Finish: Aniseed develops into the finish, honey too.